FBA is Amazon’s customer order fulfillment service. Amazon allow’s 3rd party vendors to send your products to Amazon’s warehouse, where Amazon stores them and then fulfills the orders to customers when they sell. All items fulfilled by Amazon are eligible for Amazon Prime, which includes free 2-day shipping and Amazon’s 30-day money-back guarantee. Several years ago Amazon was saying they estimated half their customers never buy an item if it isn’t eligible for Amazon Prime. As of 2017, Amazon has over 80 million Prime customers just in the US alone. 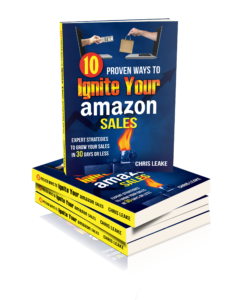 You’ll make more sales – Customers prefer Prime-eligible products, and there is strong evidence Amazon gives ranking preference to FBA products. You’ll make higher profits – Use the FBA Revenue Calculator to compare net payout on your sales made through FBA vs orders you fulfill yourself. You’ll have more satisfied customers – They know exactly what to expect with Amazon, they know when they’ll receive the item, and returns are easy. Amazon handles all the basic customer service – This saves you time, money, and most important, focus. You can scale more easily – Grow your business, rather than getting bogged down in fulfillment operations. Right now there is a Christmas deadline: Amazon will only fully guarantee all your inventory is available for shipping by Christmas if they receive it at their fulfillment center by December 1st. So don’t delay in getting started!